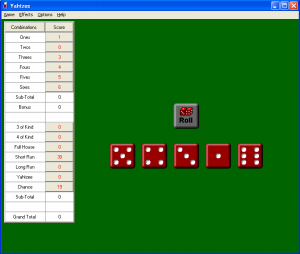 Patience Pack (freeware) is a selection of 120 skill-testing card games, dice games and puzzles written for various age groups. Many are classic games such as Klondike, Yahtzee, Freecell, Mastermind, Snakes & Ladders and Mind Sweeper. Other games are original, including Enigma, Neural Net, Armor of God and Lost World. If you want a better idea of what is included in Patience Pack, you can see some screen snapshots or look at the complete list of games. You can also see the history of Patience Pack.